The dish ‘Kung Po chicken’ is both popular China and the West, is a traditional Sichuan dish and it has roots in the Qing Dynasty. It is a stir-fry with peanuts, vegetables and chilli. The folklore around Ding Boazhen is that he particularly liked spicy dishes. This was apparently the dish he liked to serve to visiting guests, and so the dish grew in popularity as more and more people tried it. During the Cultural Revolution in China it went through a name change, as it wasn’t politically correct to refer to the previous Imperial system, and was known as Hongbao Jiding or Hula Jiding, referring to the diced chicken and the stir-fry method. But in the 1980s it began to be referred to as Kung-Po again. Kung-Po dishes are cooked in the xiao chao (‘small stir-fry’) method, which means that ingredients are added in to the wok, one after the other. A key characteristic of this dish is the spice (as hot as your palette is able to take), in reflection of Sichuan and Ding Boazhen’s taste. Although the traditional version of this dish uses chicken, Head Chef Bing has decided to use the characteristics of this dish, the complex flavours and a burst of heat, with lobster. The Kung-Po sauce is still created in the traditional manner, but its flavour profile has been adapted to a dish that is worthy of celebratory moments to be shared with friends and family. 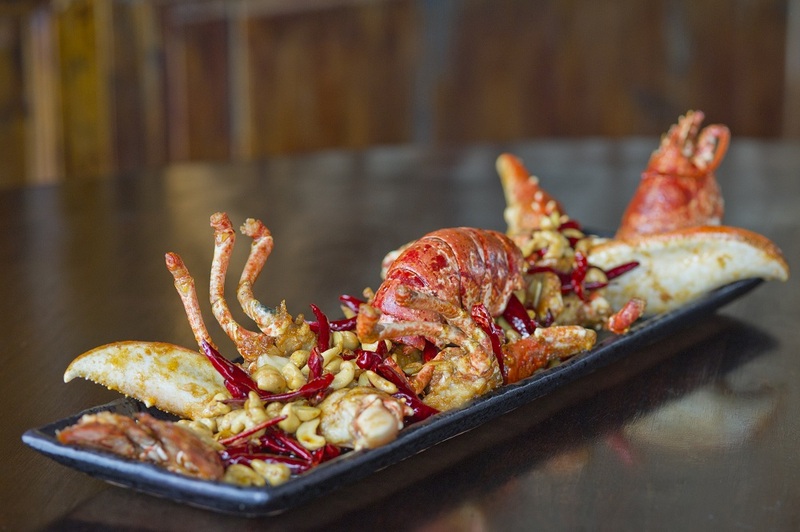 Click here to book a table to try our Kung-Po lobster.